New Delhi [India], Jan.12 (ANI): Flight data services and applications leader Flightstats on Thursday issued a clarification with regard financial software, data, and media company Bloomberg portraying India's national carrier Air India as the third worst airline in the world. New Delhi [India], Jan. 9 (ANI): Air India on Monday alleged that the reports published by flight data firm FlightStats listing it as the third worst performing airline in the world to be fabricated, assuring that the management will investigate the matter till the end. Washington D.C. [USA], Dec. 15 (ANI): A new study reveals that airline pilots currently flying may be clinically suffering from depression and suicidal thoughts. New Delhi [India], Dec. 2 (ANI): The deadline for using old Rs. 500 notes at petrol pumps and buying airline tickets at airports has been cut short to today from December 15 announced earlier. New York [USA], Nov. 16 (ANI): The suspect involved in the murder of an Oklahoma City Airport staff yesterday, has been found dead in a parking garage. New Delhi [India], Nov 3 (ANI-NewsVoir): The fourth Turkish Airlines Open will get underway this Thursday 3rd November at the Regnum Carya Golf and Spa Resort, Antalya. New Delhi [India], Oct.24 (ANI): Singapore Airlines has launched its non-stop Singapore-San Francisco service that links Singapore with the US West Coast. The new flights will be operated daily using Airbus A350-900 aircraft. New Delhi [India], Oct.22 (ANI): Customs officials at the Indira Gandhi International Airport (IGIA) have confirmed the arrest of one airline passenger after recovering currency worth Rs.2.77 crores from his possession on Friday. Dhaka [Bangladesh], Oct.12 (ANI): A Boeing 737-800 aircraft has been bought by the US-Bangla Airlines into its fleet to expand its wing to home and abroad, creating a new milestone in the aviation industry of Bangladesh. 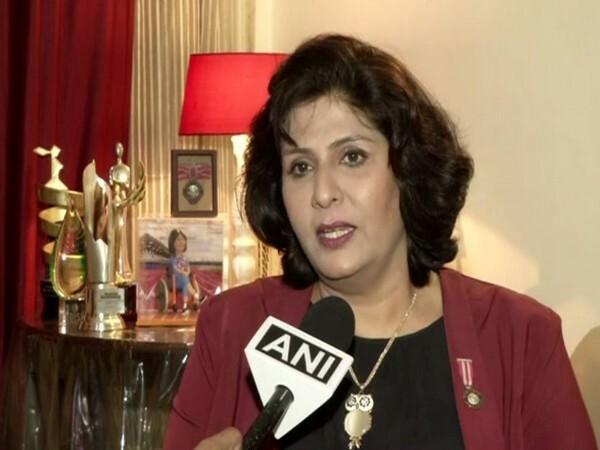 Gurgaon (Haryana) [India], Oct.06 (ANI): Deepa Malik, who scripted history last month by becoming India's first-ever woman to win a medal at the Paralympic Games, has alleged "poor handling" of wheelchair-bound passengers by Vistara Airlines and also slammed it over its "
Colombo [Sri Lanka], Sept. 27 (ANI): Sri Lanka's national carrier, SriLankan Airlines commences its services between the Pakistan's Lahore city and Colombo from today, in a bid to enhance its focus on the Asia and the Middle East region.